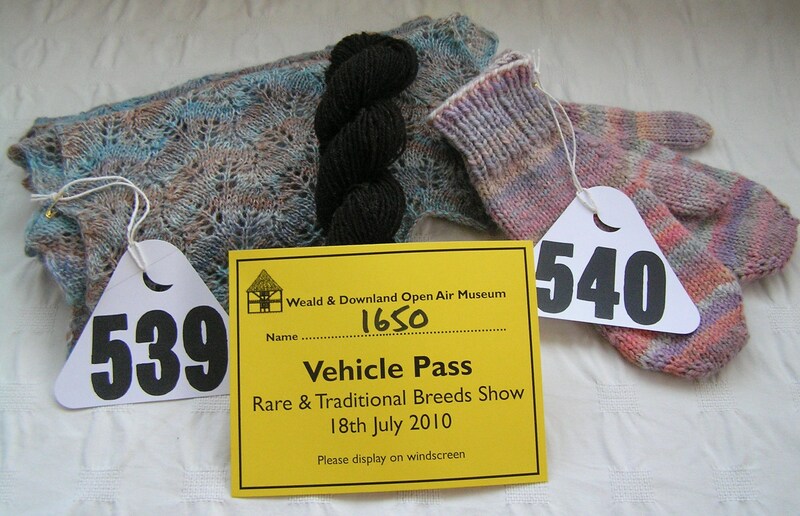 This entry was posted in Fibre, Knitting, Spinning and tagged handspinning competition, Rare Breeds Show, weald and downland museum. Bookmark the permalink. Oh that was your shawl! I was admiring it yesterday. I love the colours, what fibre did you use to make it? I may pluck up the courage to enter something next year! The fibre was from http://www.wheeldalewoolcrafts.co.uk – shetland, dyed in blues/browns, I think it was called Stoney Shores. Do put in an entry next year, it is a lovely feeling to see your own work on display in the tent along with other beautiful projects.